The withholding tax on royalties is of particular interest because, in practice, the term is defined very broadly – often much broader than practitioners and authorities in other jurisdictions might define the term. Many payments are wholly or partially exempt from Thai withholding taxes under double tax treaties between Thailand and many foreign countries. Recently, the Revenue Department has begun to focus greater attention on transfer pricing issues. Corporate income tax applies to companies, juristic partnerships registered under Thai law, business entities formed under foreign law but carrying on businesses in Thailand, a business or profit-seeking enterprise operated or owned by a foreign government, and unincorporated joint ventures (in which one of the parties is a company or registered partnership) engaged in business activities. 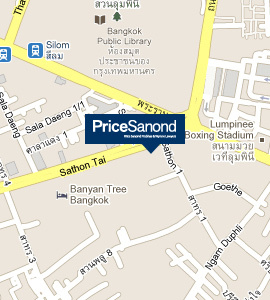 The current rate is 30% of net profit (with lower rates for companies having paid-up capital of THB 5 million or less). VAT is a broad-based consumption tax on goods and services operating at each stage of production and distribution. The current rate is 7%, but may increase to 10%. Some businesses are exempt from VAT. Some services and goods are 0% rated, such as exported goods. Service fees and royalties remitted abroad are subject to VAT as are goods purchased from abroad when they clear Thai Customs, but when such VAT is paid by a Thai entity, it can deduct the VAT payment from the VAT payments it is required to make to the Revenue Department or seek a refund (as applicable). Annual net taxable income (Baht) after deducting the standard deductions, personal allowances, etc. for 2012 are set out in the table below. The Cabinet is considering new personal income tax rates (see here), which, if approved, would take effect at the beginning of 2013 as reflected in the table below. A large number of documents in Thailand are subject to stamp duty. The rate depends upon the instrument. There are a large number of taxes in Thailand, including specific business taxes, municipal taxes, signboard tax, excise tax, land and building tax, petroleum operations and customs duties.